Is Loyalty a Commendable Trait for a Locum Solicitor? 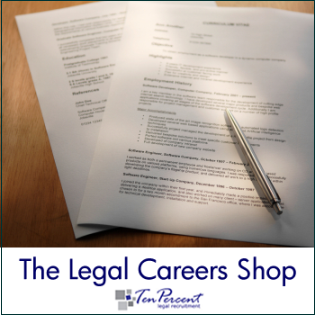 If you locum through Interim Lawyers and Ten Percent Legal Recruitment, we value your commitment to us immensely. If you take on an assignment and see it through, and consistently do this, then inevitably you will get continued attention from us and be offered repeat assignments. If you decide half-way through an assignment or during an ongoing assignment that you plan to go elsewhere because the money is higher, or the conditions are better, then chances are we will bear this in mind for future assignments and be very wary about putting you forward in advance of other locums with whom we enjoy a more trusting relationship. This may sound somewhat controversial and over simplifies what tends to be a very complicated situation. For example, the firm you are with may have been extremely vague as to the length of the assignment and you may have been offered a 3 to 4 month assignment elsewhere with specified dates. Similarly, the firm you were with may be utterly dreadful and you really do not wish to carry on working with them, but having read the above are probably fairly nervous as to future locum work coming your way! We entirely appreciate that there are genuine reasons for leaving a locum assignment half way through, or finishing one early and the above examples are just a couple of reasons why an assignment can end early or you make the decision to jump ship. However, in the vast majority of situations it is usually fairly clear to us as to why someone is leaving and if there are good reasons we do not hold it against them. However if we suspect they have simply done it because someone has dangled a carrot in front of them for another assignment that sounds better than ours then we do usually hold it against them. In order to put locums forward for roles, particularly with our most reliable and longstanding clients, we have to have trust in the locum and their ability to see the assignment through. Some of our regular locums have been known to turn down very lengthy assignments to fulfill their commitments to existing firms, whether through ourselves or otherwise. Our relationship with one of our biggest and best clients was somewhat dented earlier this year when a locum went for a face to face interview, accepted a string of assignments for the whole year of weeks at a time and then shortly before the first assignment was due - in peak season - decided to go elsewhere for a longer term contract. Needless to say this locum has not and will not work through us again! We appreciate entirely as stated above that this candidate had very good reason for turning down the locum assignments in view of the lucrative work elsewhere, but the consequences of that for us as a business are too much to be able to give her any locum work again in future. Bear this advice in mind because it not only applies to Ten Percent and Interim Lawyers, but also to other agencies as well. It is important to demonstrate loyalty and commitment to locum assignments as this will impact on your future opportunities.